PROFESSIONAL CLOWNING AND ENTERTAINMENT FROM THE VERY FIRST CONTACT THROUGHOUT THE ENTIRE EVENT. 100% SATISFACTION GUARANTEED. SEASONED IN PERFORMING FOR YOUR ENTIRE GUEST LIST NO MATTER WHAT SIZE AND AGE GROUP. MAGIC LADDER IS ABLE TO PROVIDE ADDITIONAL ENTERTAINERS, CLOWNS, FACEPAINTERS FOR LARGER EVENTS. SPECIALIZING IN CORPORATE EVENTS, FESTIVALS, SCHOOL FUNCTIONS AND GRAND OPENINGS. 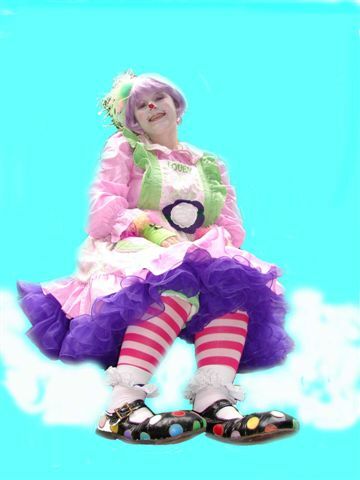 LOVEY THE CLOWN IS NOT ONLY LOVEY, SHE IS ACTUALLY FUNNY, WHICH IS ONE OF THE MOST IMPORTANT THINGS FOR A CLOWN TO BE. MAGIC LADDER ENTERTAINMENTS PROFESSIONAL TEAM OF PERFORMING ARTISTS REALIZE HOW SPECIAL EACH EVENT IS AND MAKE THEIR MISSION TO ASSIST IN MAKING EACH EVENT MEMORABLE FOR YOU AND ALL OF YOUR GUESTS.